While on St. Paul, I spoke with many tribal elders who told me stories about fewer fish and sea birds, harsher storms, and warming temperatures, but what struck me most deeply were their accounts of plummeting fur-seal populations. Seal mothers, they said, had to swim so much farther to find food for their pups that the babies were starving to death before they could make it back. For at least two decades, I’ve found my solace in the mountains. I lived in Alaska from 1996 to 2006 and more than a year of my life has been spent climbing on the glaciers of Denali and other peaks in the Alaska Range. Yet that was a bittersweet time for me, as the dramatic impacts of climate change were quickly becoming apparent, including quickly receding glaciers and warmer winter temperatures. Later, my book research would take me back onto Denali’s fast-shrinking glaciers and also to Glacier National Park in Montana. There I met Dr. Dan Fagre, a US Geological Survey research ecologist and director of the Climate Change in Mountain Ecosystems Project. “This is an explosion,” he assured me, “a nuclear explosion of geologic change. This…exceeds the ability for normal adaptation. 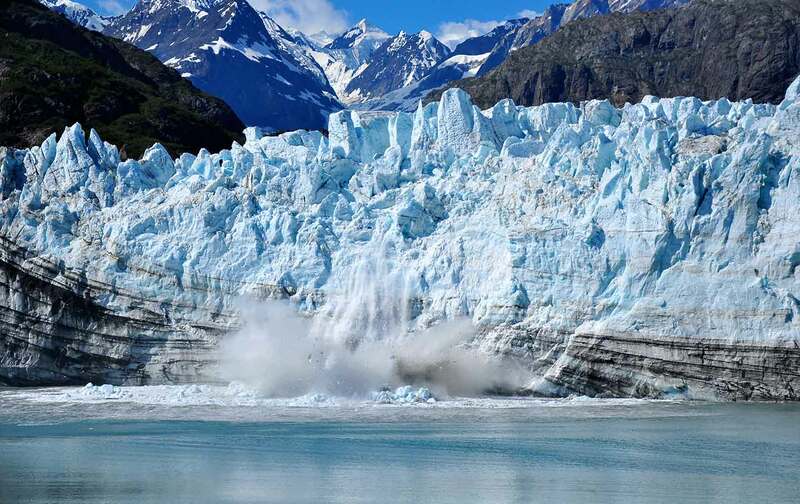 We’ve shoved it into overdrive and taken our hands off the wheel.” Despite its name, the park he studies is essentially guaranteed not to have any active glaciers by 2030, only 11 years from now. In July 2017, I traveled to Camp 41 in the heart of the Brazilian Amazon rainforest, part of a project founded four decades ago by Thomas Lovejoy, known to many as the “godfather of biodiversity.” While visiting him, I also met Vitek Jirinec, an ornithologist from the Czech Republic who had held 11 different wildlife positions from Alaska to Jamaica. In the process, he became all too well acquainted with the signs of biological collapse among the birds he was studying. He’d watched as some Amazon populations like that of the black-tailed leaftosser declined by 95 percent; he’d observed how mosquitoes in Hawaii were killing off native bird populations; he’d explored how saltwater intrusion into Alaska’s permafrost was changing bird habitats there. In October 2018, 15 months after Jirinec’s words brought me to tears in the Amazon, the world’s leading climate scientists authored a report for the UN Intergovernmental Panel on Climate Change (IPCC) warning us that we have just a dozen years left to limit the catastrophic impacts of climate change. The gist of it is this: We’ve already warmed the planet one degree Celsius. If we fail to limit that warming process to 1.5 degrees, even a half-degree more than that will significantly worsen extreme heat, flooding, widespread droughts, and sea-level increases, among other grim phenomena. 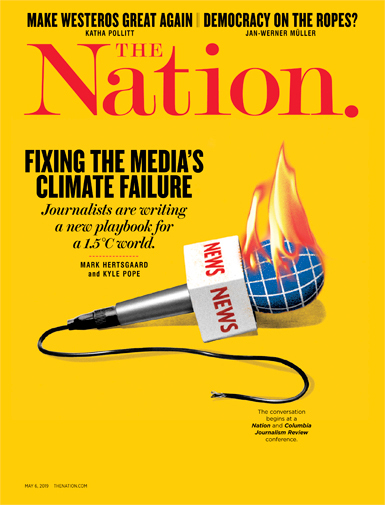 The report has become a key talking point of political progressives in the United States, who, like journalist and activist Naomi Klein, are now speaking of “a terrifying 12 years” left in which to cut fossil-fuel emissions. For example, a study published in Nature magazine, also released in October, showed that over the last quarter-century, the oceans have absorbed 60 percent more heat annually than estimated in the 2014 IPCC report. The study underscored that the globe’s oceans have, in fact, already absorbed 93 percent of all the heat humans have added to the atmosphere, that the climate system’s sensitivity to greenhouse gases is far higher than thought, and that planetary warming is far more advanced than had previously been grasped. Two weeks after that Nature article came out, a study in Scientific Reports warned that the extinction of animal and plant species thanks to climate change could lead to a “domino effect” that might, in the end, annihilate life on the planet. It suggested that organisms will die out at increasingly rapid rates because they depend on other species that are also on their way out. It’s a process the study calls “co-extinction.” According to its authors, a five-to-six-degree Celsius rise in average global temperatures might be enough to annihilate most of Earth’s living creatures. To put this in perspective: Just a two degree rise will leave dozens of the world’s coastal mega-cities flooded, thanks primarily to melting ice sheets in Greenland and Antarctica, as well as the thermal expansion of the oceans as they warm. There will be 32 times as many heat waves in India and nearly half a billion more people will suffer water scarcity. At three degrees, southern Europe will be in permanent drought and the area burned annually by wildfires in the United States will sextuple. These impacts, it’s worth noting, may already be baked into the system, even if every country that signed the Paris climate accord were to fully honor its commitments, which most of them are not currently doing. It’s been estimated that between 150 and 200 plant, insect, bird, and mammal species are already going extinct every day. In other words, during the two and a half years I worked on my book, 136,800 species may have gone extinct.